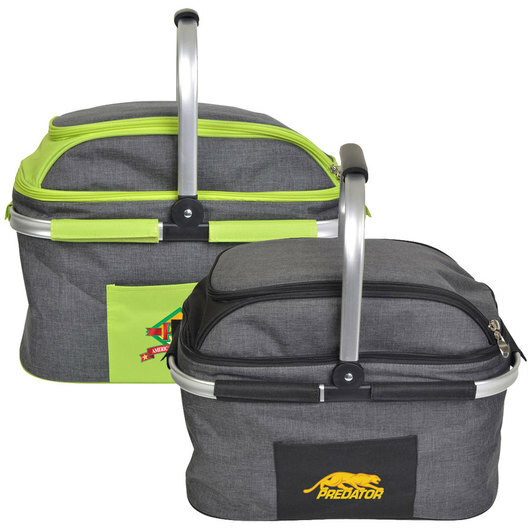 Enjoy a picnic for 4 with these fantastic picnic sets presented with a print of your logo. 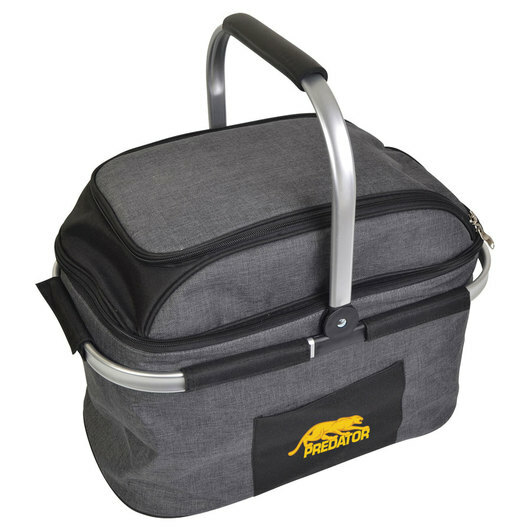 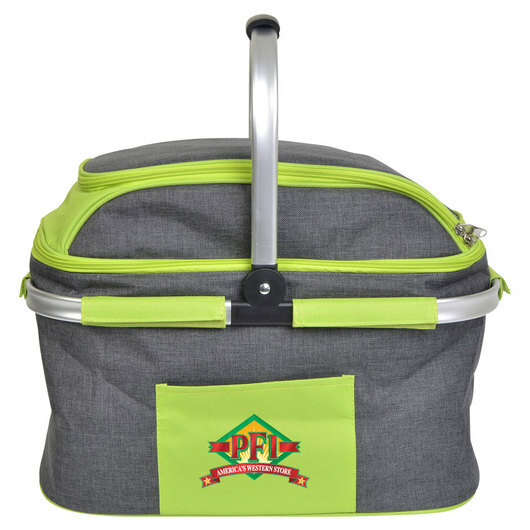 Whether you're headed to the beach, park or pool bringing along this handy companion is a fantastic way to have an organised picnic for up to 4 people. 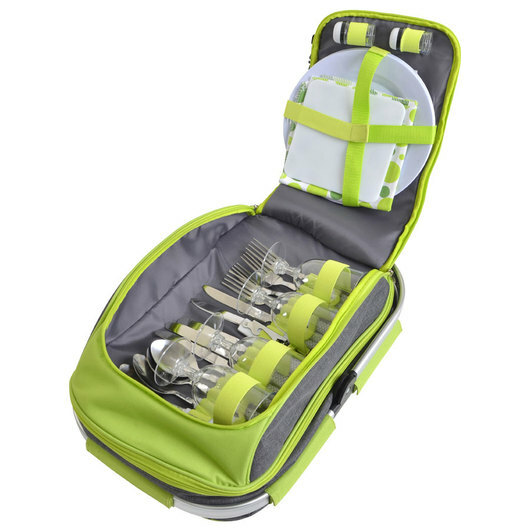 The picnic set includes: 2x Salt & Pepper Shakers, 1x Cutting Board, 1x Cheese Knife, 1x Bottle Opener, 4x Spoons/Knives/Forks/Plates/Plastic Wine Glasses/Cotton Napkins. 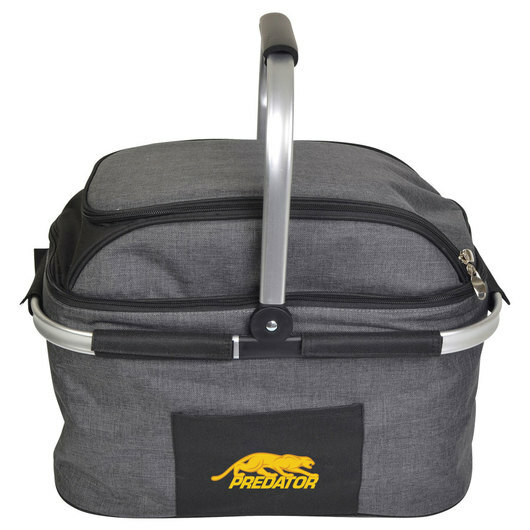 It's a traditional picnic basket style with a sturdy handle and a cooler compartment that collapses down when not in use with a removable carry handle.